It seems like every time I read the news - business or IT - another big organization has experienced a massive IT outage - a handful that are top of mind are of course VISA, Citizens Bank, Delta Airlines, and British Airways. 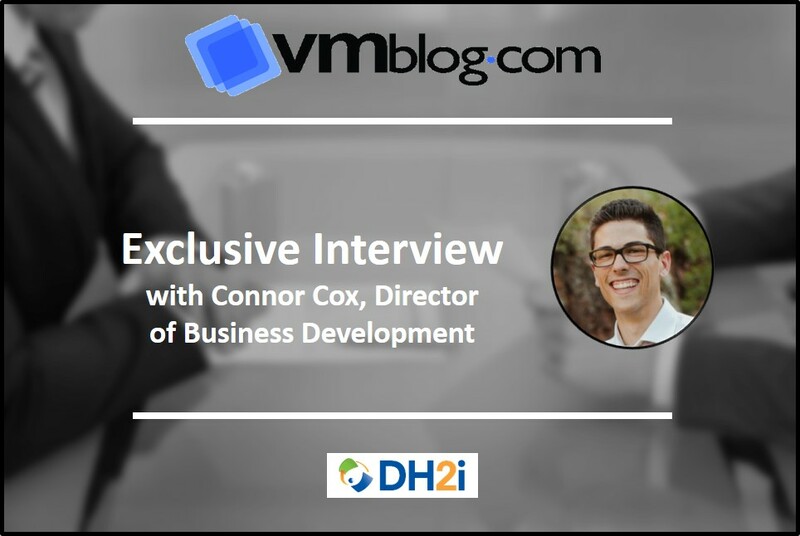 Today, VMblog speaks with Connor Cox, Director of Business Development for DH2i, on this business critical topic. VMblog: Why do you think such world-renowned organizations, and others, are suffering? Connor Cox: Great question! An Uptime Institute survey collected by 451 Research had some interesting findings. While the survey found that a quarter of participating companies experienced an unplanned data center outage in the last 12 months, close to one-third of companies (32 percent) still lack the confidence that they are totally prepared in their resiliency strategy should a disaster such as a site-wide outage occur in their IT environments. VMblog: Where do you think this failure to prepare can be attributed? VMblog: Do you agree that latency is also an issue, and there's also often a trade-off between cost and availability for most solutions? Cox: For certain use cases, yes. For instance, when you are talking about using traditional DR approaches for Microsoft SQL Server, these assumptions can be true. One of the more prevalent approaches is the use of Always On Availability Groups, which provides management at the database level in addition to replication for critical databases. Another traditional solution is Failover Cluster Instances. You can also use virtualization in combination with one of these other strategies or on its own for similar results. There are challenges to each of these common solutions, however, starting with the cost and availability tradeoff. In order to get higher availability for SQL Server, it often means much higher costs. Licensing restrictions can also come into play, since in order to do Availability Groups with more than a single database, you need to use Enterprise Edition of SQL Server, which can cause costs to rapidly rise. There are also complexities surrounding these approaches, including the fact that everything needs to be the same, or "like for like" for any Microsoft clustering approach. This can make things challenging if you have a heterogeneous environment or if you need to do updates or upgrades, which can suffer lengthy outages. VMblog: But does this have to be so? Do you think it's possible to flip this paradigm to enable easy, cost-effective DR for heavy-duty applications like SQL Server, as well as containerized applications? The best modern-day approach to HA/DR is one that encapsulates instances and allows you to move them between hosts, with almost no downtime. This is achieved using a lightweight Vhost-really just a name and IP address-in order to abstract and encapsulate those instances. This strategy provides a consistent connection string. Crucial to this concept is built-in HA-which gives automated fault protection at the SQL Server instance level-that can be used from host to host locally, as well as DR from site to site. This can then be very easily extended to disaster recovery, creating in essence an "HA/DR" solution. The solution relies on a means of being able to replicate the data from site A to site B, while the tool manages the failover component of rehosting the instances themselves to the other site. This gives you many choices around data replication, affording the ability to select from array-based replication, vSAN technology, Storage Replica or host-based approaches. VMblog: So, with HA plus DR built-in, a software solution like this is set apart from the traditional DR approaches for SQL Server? Cox: Absolutely. First, it can manage any infrastructure, as it is completely agnostic to underlying infrastructure, from bare metal to virtual machines or even a combination. It can also be run in the cloud, so if you have a cloud-based workload that you want to provide DR for, it's simple to layer this onto that deployment and be able to get DR capabilities from within the same cloud or even to a different cloud. Since it isn't restricted in needing to be "like for like," this can be done for Windows Server all the way back to 2008R2, or even on your SQL Server for Linux deployments, Docker containers, or SQL Server from 2005 on up. You can mix versions of SQL server or even the operating system within the same environment. VMblog: As far as implications for upgrades and updates, because you can mix and match, how does this affect updates and the traditional associated downtime? Cox: When you think about the cost and complexity tradeoff that we see with the traditional solutions, this software-based tool breaks that because it facilitates high levels of consolidation. Since you can move instances around, users of this solution on average stack anywhere from 5 to 15 SQL Server instances per server with no additional licensing in order to do so. This understandably results in a massive consolidation of the footprint for management and licensing benefits, enabling licensing savings of 25 to 60 percent on average. If you've already purchased these licenses, you can use them later, reclaiming the licenses for future use. There is also no restriction around the edition of SQL Server that you must use to do this type of clustering. So, you can do HA/DR with many nodes all on Standard Edition of SQL Server, which can create huge savings compared to having to buy premium software editions. VMblog: Wow, it sounds compelling... but, how does this look in practice? Cox: You can install a tool such as this on two existing servers, add a SQL Server instance under management, and very simply fail that instance over for local HA. You can add a third node that can be in a different subnet and any distance away from the first two nodes, and then move that instance over to the other site-either manually or as the result of an outage. By leveraging standalone instances for fewer requirements and greater clustering ability, this software-based solution decouples application workloads, file shares, services, and Docker containers from the underlying infrastructure. All of this requires no standardization of the entire database environment on one version or edition of the OS and database, enabling complete instance mobility from any host to any host. In addition to instance-level HA and near-zero planned and unplanned downtime, other benefits include management simplicity, peak utilization and consolidation, and significant cost savings. VMblog: In the end, would you say it all comes down to redefining database availability? Cox: Exactly. Traditional solutions mean that there is a positive correlation between cost and availability, and that you'll have to pay up if you want peak availability for your environment. These solutions are also going to be difficult to manage due to their inherent complexity. But you don't need to just accept these facts as your only option and have your IT team work ridiculous hours to keep your IT environment running smoothly. You do have options, if you consider turning to an all-inclusive approach for the total optimization of your environment. In short, the right software solution can help unlock huge cost savings and consolidation as well as management simplification in your datacenter. Unlike traditional DR approaches for SQL Server, this one allows you to use any infrastructure in any mix and be assured of HA and portability. There's really no other way that you can unify HA/DR management for SQL Server, Windows, Linux, and Docker to enable a sizeable licensing savings-while also unifying disparate infrastructure across subnets for quick and easy failover. Connor Cox is a technical business development executive with extensive experience assisting customers transform their IT capabilities to maximize business value. As an enterprise IT strategist, Connor helps organizations achieve the highest overall IT service availability, improve agility, and minimize TCO. He has worked in the enterprise tech startup field for the past 5 years. Connor earned a Bachelor of Science in Business Administration from Colorado State University and was recently named a 2017 and 2018 CRN Channel Chief.